The Snowblower Maintenance Kit for the Toro CCR1000 is a great way to perform the necessary yearly maintenance while saving money. We've packaged together the annual replacement essentials for your Toro snowblower: New paddles for an improved snow removal, a new scrapper bar to help get the toughest snow, a new spark plug to provide lasting performance and also a quart of Toro oil to keep the snow blower running smoothly. 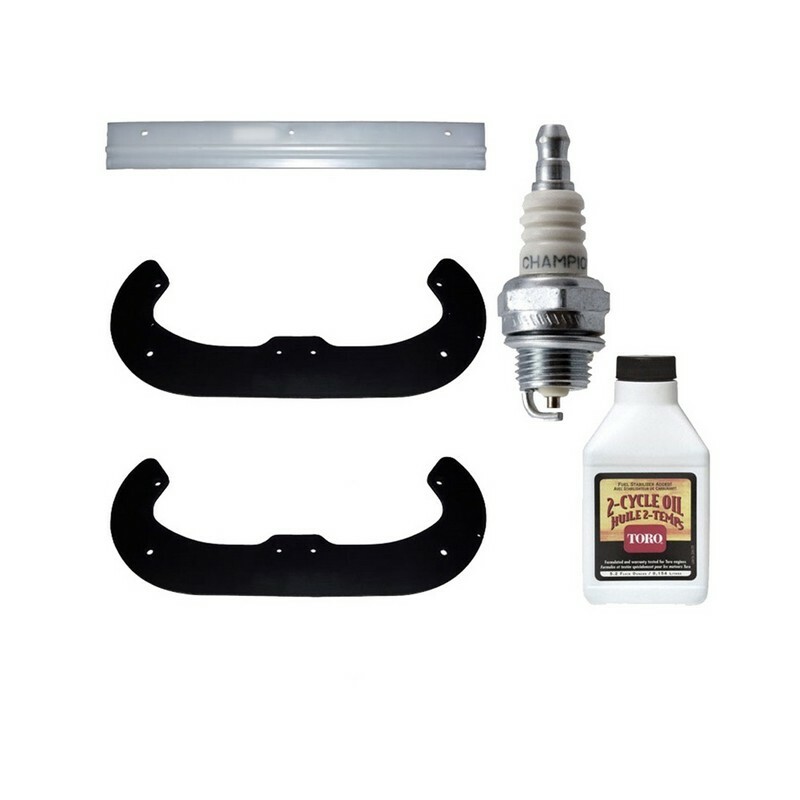 By packaging these essential maintenance components together, we are able to get you all of the replacement parts you need while saving some serious money. You can't afford to NOT take advantage of special savings like these!